If you’re looking for a way to take control of your spending and increase your savings, I’m going to teach you about a tool that can help you do both!! 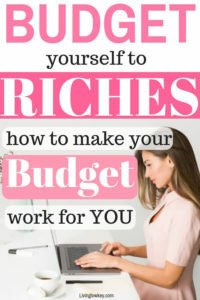 Let’s talk about How To Make A Budget!! Developing a strong personal budget is going to be how you control your spending, save more money, and reach all your financial goals!! There’s a lot to learn so let’s get started. 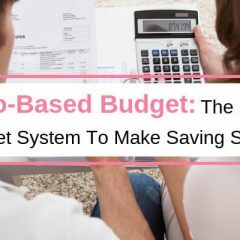 Before we get into how to make a budget, I think it’s best to tell you what a budget is and how it will help. Don’t worry, it’s not as scary as you might think. First, let’s clear the air, many people believe that living on a budget means you are restricting your spending. I used to be one of those people until I learned better. I don’t like to think of it as restricting your spending, I like to look at it as being more efficient with your spending. When you make a budget, you’re basically creating a plan for all of your money. Some of the money is going to go to spending, some will go to saving. The important thing is that you know where all your money is going. Your personal budget will be you telling your money what to do, not your money telling you what you can or can’t do. The basic concept behind a budget is that you compare your income against your expenses over a specific time frame, normally a month. You then use that knowledge to determine where to distribute all your money. 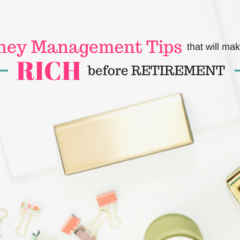 Ideally, your income will be greater than your expenses and you’ll have some money left over. The first time you create a budget, you might find that this is not the case. If that’s you, don’t worry, we can fix that. 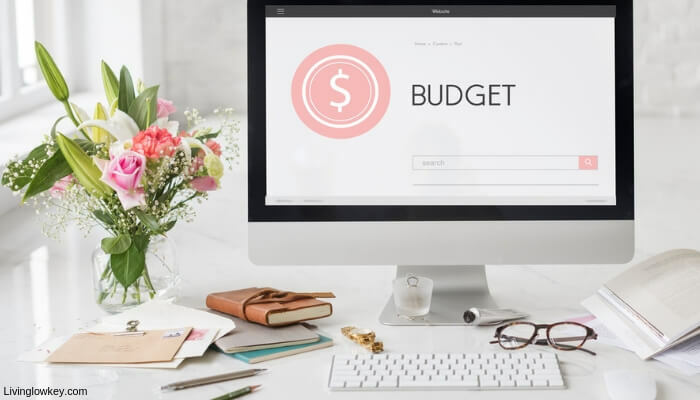 This might seem like an obvious subject to talk about when discussing a budget, but I think it’s important to remind you why you need to learn how to budget your money. Budgeting is the tool that’s going to enable you to pay off debt, save more money, or even travel more. Whatever your goals are, when you have an effective budget in place, you can achieve them. 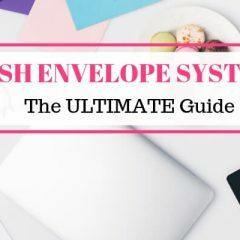 We’ve been using the Cash Envelope Budget System for years and we love it! It’s enabled us to make the life we live, the life we love because we don’t have to stress about money. There are other ways to set up your budget though. I’m a huge fan of Excel spreadsheets because of their functionality and it’s already has a budget template. If you want something that you just have to fill out a box in Excel and it does the math for you, check out our Free Budget Course Here. This 5 part course walks you through setting up a budget in depth. When you join our FREE course, you’ll get an Excel Spreadsheet that we created specifically for budgeting. Maybe you’re not a fan of spreadsheets and you’d rather do things more manually. You could always do what we did for years and write everything out on paper. We used to sit down at the end of each month and hand write out our budget for the following month. It wasn’t always the neatest process but we have evolved it over the years. 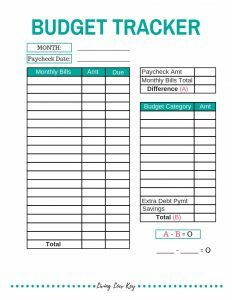 If you want an AMAZING budgeting worksheet, you have to Check Out This Budget Binder. It’s everything you’ll need to take control of your finances. 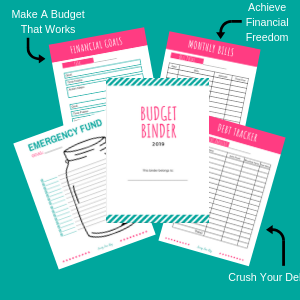 We created this Budget Binder because we wanted something to take our budgeting to the next level and we wanted to share it with you too!! 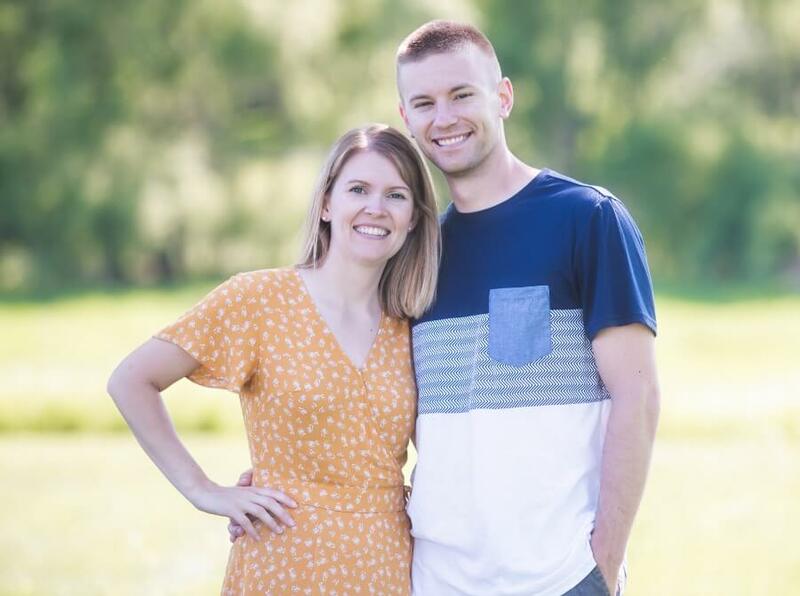 This is the budgeting system we used to save over $100,000 while in college! We’re now to the part where you’re going to start putting your budget together. That’s what you’re here for so let’s get to it! The first thing you need to do when creating a budget is develop a plan and set goals. I want you to think about the goals first. You’re creating a budget to help you achieve a goal. Think about what those goals are and write them down. Those goals will be your motivation to stick to your budget. Now that you have goals established, think about how that budget is going to help you get there. In order to be successful, you need to be consistent with the budget. I’d recommend picking a day at the end of each month to create your budget for the following month. Creating a plan that involves routine will make you more likely to succeed. Is your goal to save money or pay off debt? As we work through setting up this budget, keep these goals in mind and tailor the budget to help you achieve them. When setting up your personal budget, you need to choose a time-frame for that budget period. This will be the amount of time that your budget is effective for. We personally choose to set up our budget for 2 weeks at a time. The reason we do it that way because we get a paycheck every two weeks. We like to plan where every single dollar of each paycheck is going. Some typical options for budgeting time-frames are weekly, bi-weekly, or monthly. Choose the one that works best for you. In our Annual Budget Binder, we provide you with 2 Budget Trackers like the one you see below. 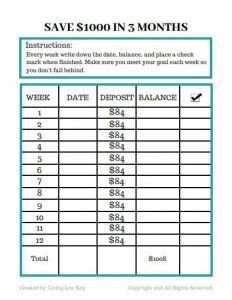 This gives you the option to do a monthly or bi-weekly budget. Earlier I said that a budget is basically comparing your income against your expenses. Well, it’s time to determine how much money you make before we start looking at expenses. What you need to do is look at every source of income you have during your chosen budget time frame. Make sure you count everything! For example, let’s say you have a job that pays you $4,000 per month and you have a really cool side hustle that makes you $1,000 per month. When you’re calculating your monthly income, make sure you add both sources of income and you should get $5,000 in the month. Now that’s just an example, but I want to make sure you’re thinking of all sources of income for this step. This step is going to require the most work from you. 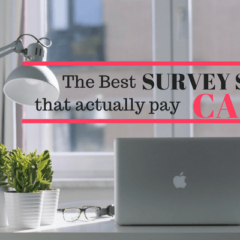 It’s time to determine your expenses. Whatever budget time frame you’re using, you want to start by looking at everything you’ll be spending money on that is a fixed amount. I like to look at the money spent in the previous month to give us an idea of our expenses for each month. You need to think about every single thing that you’ll spend money on. You don’t want any surprises that will break your budget. Once you know your total monthly expenses and income, it’s time to see how they compare! If your monthly expenses are less than your income, you’re sitting in a good spot to start. If your monthly expenses are more than your income, you have a problem. We need to fix that ASAP!! It’s time to start creating a budget that keeps you living below your means. We’re going to create a way for you to save money and pay off debt. Now that we know your starting point, it’s time to start controlling your money. To create your budget you have to tell every dollar you make where to go. First things first, if you want step-by-step instructions on how to create a strong budget like the one we have used to help us save a six-figure retirement account fill out the form below. It will enter you into our FREE Budget Like A Pro Course. This 5 part course will walk you through the exact steps we use to create our budget. It will also give you some great budgeting tools to use for FREE. Now let’s give you an overview of how to create your budget. It begins with looking at all your expenses. Are there any you can cut out? Our goal of creating a budget i to get you to live below your means. It helps by cutting out any unnecessary expenses. Once you’ve cut out your unnecessary expenses, you should be making more money than you’re spending. It’s time to create categories for the money you bring home. 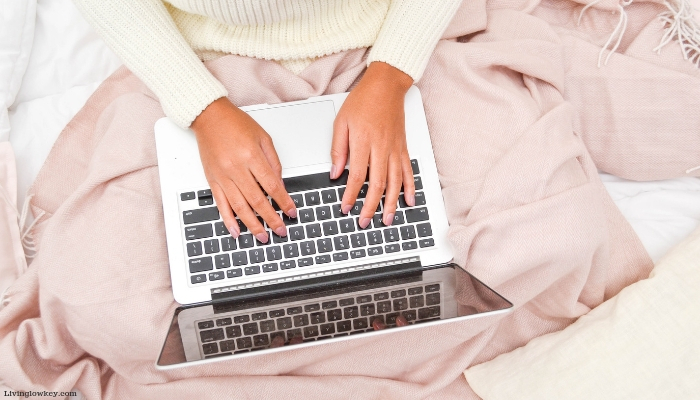 Your categories should be things like monthly bills, groceries, entertainment, or gas money. The ideas for the categories is to tell every single dollar you have where it is supposed to go. You’ll need to set dollar amounts to each of the categories. Make sure these amounts don’t add up to more money than you make. Once you know where every single dollar is going, you’ll be able to see how much you are going to be saving. Every dollar that is left after the categories are created is going to be put in your savings. To get even more details on creating a budget, I highly recommend you check out our FREE Budgeting Course. It’s the best way to get you started on the right path. 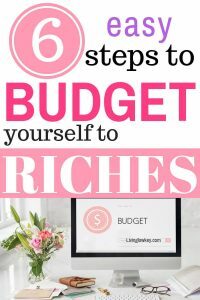 There you have it, the basics of starting your first budget! Building a solid budget each and every month is going to be THE MOST IMPORTANT TOOL you have to pay off debt and save money. I want to tell you about one tool that I use and highly recommend you try. It’s a Budget Binder that we created for 2019! 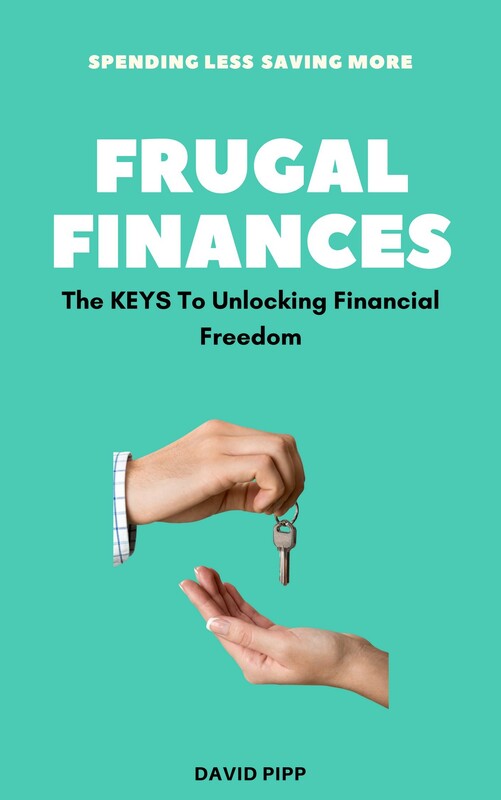 I’m not just recommending it because I created it, I’m recommending it because it’s an amazing resource to help you create a budget and manage your finances. This Budget Binder started as a tool I used and then people started asking about how we control our finances. That lead to me giving it a massive upgrade and creating a 90-page budget binder that covers all of 2019. I personally love it!! If you’re struggling to get your finances under control and want to make that your goal in 2019, this binder will work for you. There are several great tools you’ll get in this Budget Binder like the Budget Tracker. You’ll get two of these for every month of the year! How about getting a savings chart to help you save $1,000 in just 3 months. These are just a couple of the budget planning tools you’ll get with our Annual Budget Binder. Why would you continue struggling to pay off debt and reach your financial goals when the tool to make that possible is right here. Don’t waste time trying to figure this stuff out yourself when I can help you. To see all the details and get your copy of this AWESOME Budget Binder, click the link below. Make sure to follow us on Pinterest and save our post of later!